What Is The Best Kick Drum Mic? This kick drum mic produced by AKG is a legendary microphone. It is the industry standard for kick drums and has earned a solid reputation for its brilliant performance and reliability. 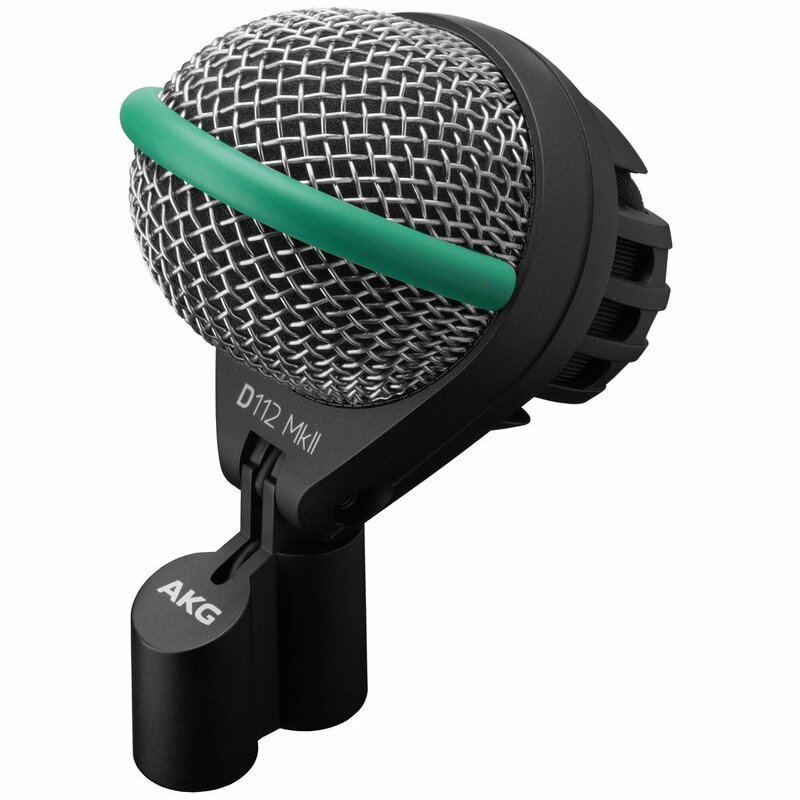 The AKG D112 is a large diaphragm dynamic microphone that can handle more than 160dB in SPL (sound pressure levels) without distortion. This microphone can take whatever you throw at it! I use the AKG D112 Kick drum mic for all of my recordings live and in the studio, and it never lets me down. It is consistently able to capture fantastic sounds and the construction of the unit is rock solid. Its incredibly authoritative low end is possible thanks to the diaphragm’s incredibly low resonance frequency that allows it to capture frequencies below 100Hz. This kick drum mic captures and delivers a punchy and accurate kick drum sound. The sound quality delivered is also very clear thanks to the integrated hum-compensation coil that is virtually silent. This product wins the top spot for the best kick drum mic available, and it is the industry benchmark for quality having been used on stages worldwide for over 30 years! In second place we have the Audix D6 kick drum mic that is another industry leading kick drum microphone. Many sound engineers claim that this microphone is their weapon of choice when it comes to kick drums. The VLM (very low mass) diaphragm within this microphone provides an excellent transient response, and handles high SPLs of 144dB without distortion, enabling this mic to deliver ground shaking low end with clarity. The Audix D6 can capture frequencies between the ranges of 30Hz to 15kHz and thus delivers a powerful and accurate response. This particular microphone does enhance higher band frequencies between 4-5kHz and 10-12kHz which allows the kick drum to cut through a wall of sound in live scenarios. These frequency boosts might not suit everyone’s tastes, but this microphone has a legion of fans that swear by it as the best kick drum mic ever. Each Audix D6 microphone is designed, machined, assembled and tested by Audix in the USA for painstaking quality control. The lightweight aluminum body makes it compact and easy to position inside a kick drum porthole. The Audix D6 in my opinion is a fantastic kick drum microphone, and when a live venue utilizes this microphone you can guarantee that the kick drum response will be accurate, clear and powerful. Up next for review we have the Shure Beta 52A that is another iconic microphone used for drums. It features a distinctive rounded diaphragm that is shaped specifically for kick drums. This microphone utilizes a supercardioid polar pattern for superior capturing of drum sounds, and maximum isolation from all unwanted noise. It also handles very high SPL levels of 174 without distortion to ensure a clear performance at loud volumes. The Shure Beta 52A has a host of quality features, including an advanced pneumatic shock mount system that minimizes the transmission of mechanical noise and vibration. This microphone is built like a tank, and it is able to endure significant abuse as well as deliver a punchy and studio quality performance even at high sound pressure levels. This kick drum mic is a fantastic offering by Shure, the legendary manufacturer of microphones for live and studio applications around the world. They have a great reputation for delivering high quality products, and the Shure Beta 52A is no exception. This product is radically different from most other kick drum mics, including all the ones in this list. But many highly regarded sound engineers claim this is the best kick drum mic ever made! It looks inherently different to begin with; it has a very low-profile design that utilizes an integrated preamplifier. It can’t be mounted, but instead rests inside the bass drum and it’s uniform half-cardioid polar pattern picks up optimal sounds within the bass drum shell. Shure has specifically tailored the frequency response of this kick drum mic to suit a live musical application. It has a wide dynamic range and can withstand SPLs of 155dB without distorting. Another cool feature about this kick drum mic is that it has a two-position switch that allows you to choose between a flat response and a low-mid scoop setting that offers extra attack. The Shure Beta 91A is a unique kick drum mic, the fact it’s a condenser microphone as well as having an integrated preamp and a two-position contour switch contributing to its distinctive sound. It performs extremely well live, especially with the low-mid scoop setting, which cuts through a live wall of sound especially well with a lot of clarity and attack. Sennheiser has certainly delivered a great quality microphone with this product. It has an incredible frequency response of 20Hz to 16kHz to accurately capture kick drum sounds. The dynamic microphone features a rugged, lightweight aluminum body with a large diaphragm capsule that enhances bass response. This microphone can handle SPLs of greater than 155dB without distortion. The Sennheiser e602 II offers a great performance, and it has a pretty unique feature called frequency independent directivity. This means that the microphone is able to provide a consistent frequency response regardless of positioning. Overall this microphone is a professional kick drum mic that delivers quality performance at an excellent price. These microphones are all carefully assembled and finely calibrated, and come with an industry leading 10-year warranty! Lastly we have another kick drum mic produced by Sennheiser, and this is also a really well made product. Sennheiser’s 900 range of microphones deliver a finely calibrated and natural sound that is highly defined and rich in detail. This microphone in particular offers an incredibly fast attack and it’s got a wide frequency response of 40Hz to 18kHz for an accurate sound projection, and has been optimized for kick drums. It has the ability of withstanding SPLs to a maximum of 150dB. This microphone performs well and is very easy to use, delivering a reliable and consistently clear sound every single show. This model also features a hum-compensating coil to minimize unwanted noise. If you want a no-frills microphone that will deliver accurate and punchy kick drum sounds with little fuss then you can’t go wrong with this microphone! Achieving a high quality kick drum sound within a mix is a massively important part of the recording process. The very first step is capturing great quality sounds at the source. Drummers and sound engineers love the sound of a deep, punchy kick drum. And that’s why only an excellent kick drum mic will be the suitable choice to pickup and translate these sounds live and in the studio. 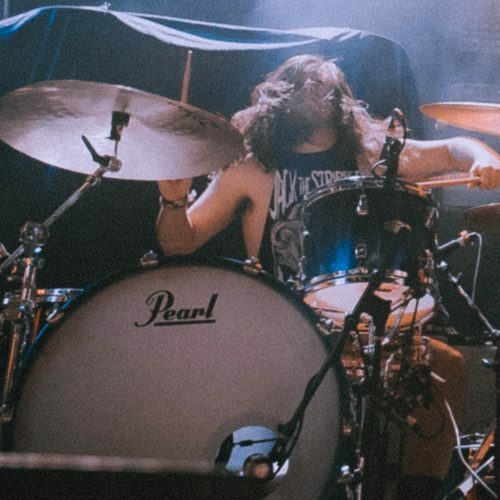 The best kick drum mics need to handle a huge amount of sound without distorting, and feature a diaphragm that delivers a powerful response to capture the lowest audible frequencies. Kick drum microphones possess unique characteristics and have their own distinct sound properties. This is due to many factors including diaphragm size, frequency response and the components used. Kick drum mics typically feature a cardioid polar pattern, which directs the focus and sound capture towards the porthole of the kick drum. This ensures that the kick drum mic only captures the sound it is designed to. The best kick drum mic will deliver the enormous and booming kick drum sound that people come to expect at a concert, whether it’s a small club venue or a huge outdoor music festival. It is often down to personal tastes to determine what is the best kick drum mic. But all of the kick drum mics I have featured in this list are all used by professionals in studios and live venues around the world. Kick drum mics are typically dynamic microphones. This is because dynamic microphones are very rugged and are not as sensitive as condenser microphones (which have fragile coils and require phantom power). Kick drum microphones are designed to withstand incredibly high SPLs (sound pressure levels) of up to 170dB and dynamic microphones are able to do this. Dynamic microphones are suitable for kick drums, guitar amplifier cabinets, vocals and other instruments in a live music scenario. They are also easier to use, and to integrate into a live stage environment. This is because they don’t require any additional power and can simply be plugged into the mixing desk and can operate exactly as intended. The rugged nature of dynamic microphones means they are more than capable of enduring the rigors of touring. They can be dropped, bashed into, knocked around and it won’t affect the performance of them. Condenser microphones on the other hand are very delicate and fragile and would make suitable kick drum microphones.